Ah ha! 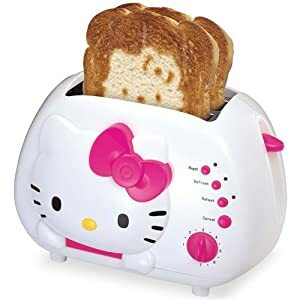 Behold the Hello Kitty toaster! For an initial investment of $20 at Target, I can serve up an endless supply of hot and tasty Sanrio inspired merchandise on a daily basis! Considering the punchline for all of BG’s jokes these days is “I eat it!”, this should be a hit.